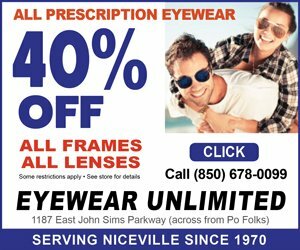 Niceville is home to some of the South’s nicest hometown merchants, and a growing number of popular regional and national chain stores. Some of Niceville’s newest corporate neighbors include a Publix supermarket and Walmart. Niceville is home to Kmart, Winn Dixie, Sears Hometown Store, CVS Pharmacy, and Walgreen’s, as well as many other well known retailers. 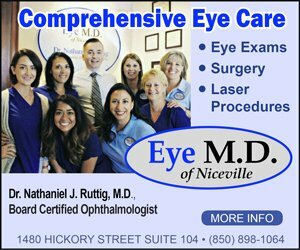 Niceville and Bluewater have several shopping centers offering the wide range of goods and services one would expect to find in a strong and thriving community. 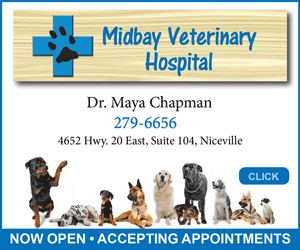 Most of the Niceville business community is located on, around or near the main thoroughfare, John Sims Parkway (State Road 20). World-class shopping is only minutes away across the Mid-Bay Bridge in Destin and south Walton County. Destin Commons and Silver Sands Premium Outlets are among the most popular with locals and visitors. The nearby Fort Walton Beach area offers many shopping options, including downtown, the Santa Rosa Mall, and Uptown Station.